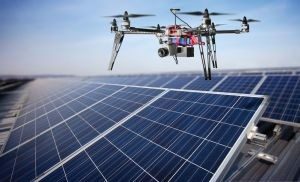 UAV Thermal Imaging camera is designed for easy mounting to a variety of unmanned aerial vehicles for such applications as thermographic surveying and defect analysis of photovoltaic cells and wind turbines. 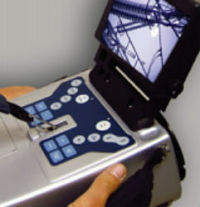 The imager consists of a miniature infrared camera and a lightweight ‘NetBox mini’ PC. The UAV Thermal Imaging camera measures just 111 x 55 x 45mm and measures temperature ranges from -20 to 1500°C. In addition, it has a spectral range of 7.5 to 13µm, changeable lenses, power supply and operation via USB, and LabVIEW software interface. Optical gas leaks cameras can visualize and pinpoint gas leaks that are invisible to the naked eye. With an optical gas leaks camera it is easy to continuously scan installations that are in remote areas or in zones that are difficult to access. The optical gas camera contains a cooled Indium Antimonide (InSb) detector that produces thermal images of 320 x 240 pixels. With its low F-number (quantitative measure of lens speed) and high sensitivity, the gas leaks camera detects the smallest of leaks. The camera also has High Sensitivity Mode (HSM) which further enhances the detection level of the camera so that the smallest gas leaks can be detected. Thegas leaks camera is very easy to control from a safe distance over Ethernet and it can easily be integrated in a TCP/ IP network. The gas leaks camera is really an ideal camera for our system, The gas leaks camera is very light and compact – in fact the first optical imaging camera that is so light – which makes it extremely suited for extended UAV flights. We have made it possible for the operator to control the camera remotely from the ground with a joystick and operator screen. The gas leaks camera’s connectivity is what makes it truly unique in the market. The image quality is what you can expect from a world leader in thermal imaging. Especially the High Sensitivity Mode is very useful when you need to see moving gas fumes. The gas market will really be able to benefit from this technology. Gas plants are usually very wide, so with our UAV solutions you are able to scan these large areas very efficiently and also to provide a good overview. They can take you to places that are hard to reach or that would take a lot of effort to go to. Gas processing plants usually have risky areas, like the red zone at the Al Hosn Shah Plant. Optical gas leaks cameras like thegas leaks cameras can scan these hazardous areas without any risk for human operators. The sky is a large blackbody radiation source. The emitted sky radiation covers all electromagnetic spectrum including the absorption wavelengths of a R-134a gas. The above infrared picture shows an image of a cloud. It can be a dust cloud that reflects the sky radiation or a target gas. In the traditional type of infrared camera for gas detection, the focal plane array is tuned to a very narrow spectral region where the gas has a strong absorption line, so that it can be detected and visualized. This tuning is done by a built-in filter mounted inside the IR camera dewar. Once the filter is chosen and mounted it cannot be changed. This technique limits the systems flexibility in the sense that different gases with an absorption feature in the same spectral range of the filter cannot be distinguished among themselves.The diagrammatic figure on the left side illustrates a situation of false alarm. A dust cloud that reflects the sky is seen by a single band IR camera as a cloud of target gas. Though sensitivity is a key parameter for a gas camera, it is the selectivity (the ability to discriminate the target gas from interferences to avoid false alarms) that becomes the limiting performance factor in real-world settings. Traditionally, gas cameras avoid the effect of interferences by measuring the gas absorption either at a single wavelength or over a narrow wavelength region where the target gas absorbs and the “noise gases” do not absorb. This approach has been successful for the detection of gases with a sharp spectral feature and in minimal interference conditions. Great for skin damage analysis, eye wear protection testing, dental, forensic and many other uses. We replace the internal hot mirror filter with our high quality custom manufactured UV camera band pass filter. Have us convert your camera to a dedicated ultraviolet only camera. We replace the internal hot mirror filter with our high quality custom manufactured UV camera band pass filter. After conversion your camera will have much higher UV camera sensitivity and you will no longer need any UV camera filters in front of the lens making it easier to compose and focus UV camera photographs. Another benefit is the ability to shoot using wide angle lenses without the problems normally associated with external UV camera interference filters. Our internal UV camera only filters are the best in the world, are hard coated using magnetron sputtering technology on fused silica substrate and have the best UV camera transmission and out of band blocking available anywhere. This coating process is very expensive but we managed to keep costs as low as possible by optimizing the fabrication process and lot volume. Our default calibration lens for UV camera only Mirrorless is the Coastal Optics 60mm UV camera-Vis-IR lens but you can use any other lens that can pass readily UV camera light through the lens. I’s Winter in Montana, 17oF outside, and snowing. Obviously, it’s not a good time to open hives for inspection. Our hives are wrapped for Winter, sitting outside in snow drifts. Thirty miles north of Missoula, several thousand colonies are securely packed inside a new wintering building built by Bill Fluke of Arlee Apiaries. Indoor wintering buildings have been used for some time in Canada (see Beekeeping in Western Canada, 1998) and are becoming more common in northern states. In Canada, hives are moved into Winter storage in October or early November and kept inside until Spring. In the U.S., migratory beekeepers are using sheds as safe, accessible places to keep hives from Fall through early Winter. Just before almond pollination, these hives will be loaded onto trucks and shipped to California. It may seem extravagant to store hives indoors for only two to three months, it provides a place to keep the hives before almond bloom, protection from Winter cold and theft, and the convenience of hives close to home. In Montana, we often have a thaw in January, before it gets cold again. This presents an opportunity to check colonies. If the bees have been rapidly consuming their honey stores, it’s time to feed them. In the sheds, beekeepers will be selecting hives to ship – it doesn’t make sense to pay freight on dead-outs and weak hives. Time to get out the infrared camera to check bee colonies. For outdoor hives, we image at night or on overcast days. It’s best to examine hives in early morning hours, since hive boxes retain heat from afternoon sun; and reflected sunshine masks emitted heat from clustered bees. Inside a wintering shed, time of day isn’t an issue. Hives are kept in dark; red lights allow the beekeeper to work within the storage unit with little disturbance of the bees. Paint color can greatly affect IR accuracy. Reflective paint, especially silver, makes it hard, if not impossible, to image bee populations. Matt color paints and unpainted hives will vary somewhat, but you should be able to discern cluster shape, position, and size. Hives wrapped in quilts can’t be imaged; there’s too much insulation space between the surface of the hive and the outside of the wrap. Hives tightly wrapped in black plastic can be imaged, but any gap between the plastic and the surface of the hive will degrade the image – I pull the wrapping tight and staple to box surfaces. The most accurate thermal image is taken from a vantage point centered-on and perpendicular to the face of each hive. In wintering sheds, hives are usually stacked on pallets. When hives are stacked as high as the ceiling in rows only two to three feet (~ 1 meter) apart, the problems are: (1) ability of the infrared camera lens to focus on and image the full width of the hive due to insufficient stand-off distance, (2) seeing the image on the view-screen of the infrared camera, and (3) getting the infrared camera high enough to image upper tiers of hives. The corona cameras used, rented, and sold are explosion-proof, to ensure the utmost of safety in harsh conditions. Most night vision devices scan at a rate of 30 times per second. They can sense temperatures ranging from -4 degrees Fahrenheit (-20 degrees Celsius) to 3,600 F (2,000 C), and can normally detect changes in temperature of about 0.4 F (0.2 C). Un-cooled – This is the most common type of night vision device. The infrared-detector elements are contained in a unit that operates at room temperature. This type of system is completely quiet, activates immediately and has the battery built right in. Cryogenically cooled – More expensive and more susceptible to damage from rugged use, these systems have the elements sealed inside a container that cools them to below 32 F (zero C). The advantage of such a system is the incredible resolution and sensitivity that result from cooling the elements. Cryogenically-cooled systems can “see” a difference as small as 0.2 F (0.1 C) from more than 1,000 ft (300 m) away, which is enough to tell if a person is holding a gun at that distance! While night vision is great for detecting people or working in near-absolute darkness, most night vision equipment uses image-enhancement technology. Thermal imaging cameras can be purchased with the bare minimum of features that only read the temperature of the fixed center crosshairs on the display or with multiple features that allow the user to select multiple moveable crosshairs and draw comparisons between them to show the high, low and average temperatures on the display. Thermal imaging cameras have user-selectable multiple color palettes, such as black/white, iron or rainbow. The iron palette is most commonly used by home inspectors. The black/white palette helps identify details on an image, and the rainbow palette has the best thermal sensitivity for displaying the differences in temperature.